Today it was brought to my attention that gqrx works well with the Red Pitaya board running the SDR transceiver code by Pavel Demin. Indeed, looking through the gr-osmosdr commit logs, I could see support was added in December 2015, just around the same time I was packaging gr-osmosdr. 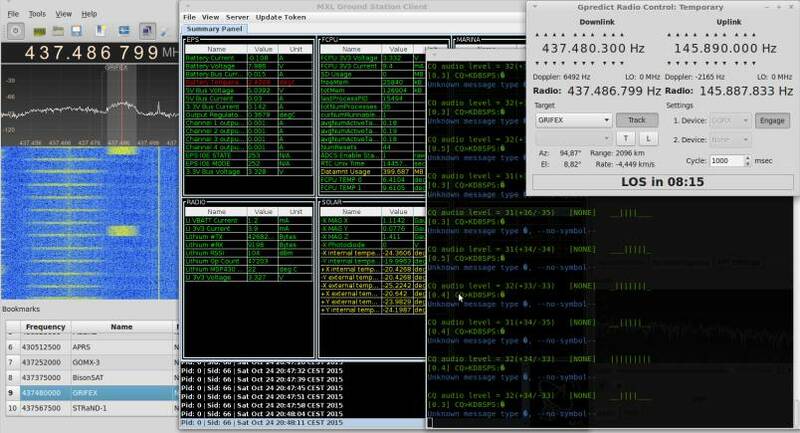 This page lists known applications that take advantage of the network interface in gqrx. Starting with version 2.3 gqrx can be controlled remotely using a simple TCP connection. Currently, the remote control functionality is limited to setting and reading a few parameters but more handles might be added in the future.